I have played around a bit with large blocks lately. I just love the look of a newly finished quilt top … from the back. 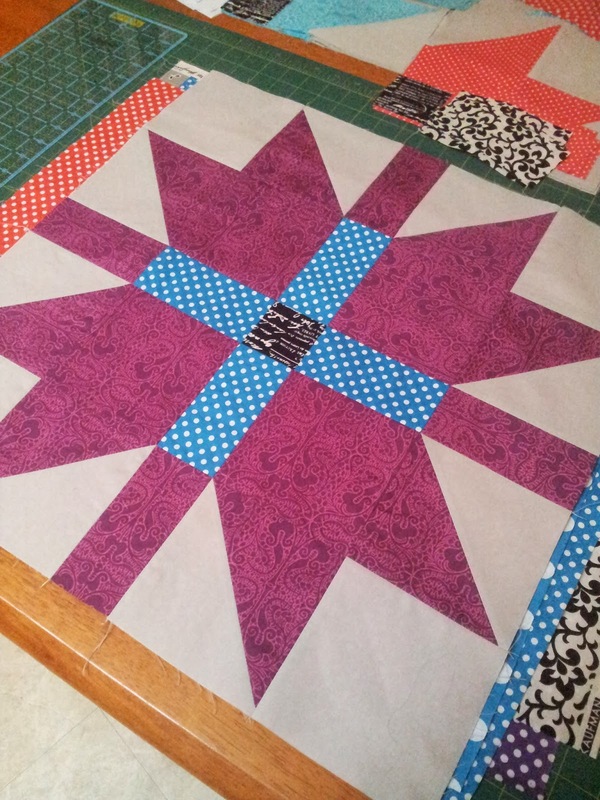 Loading up now with a purple backing, for a quick Christmas finish.